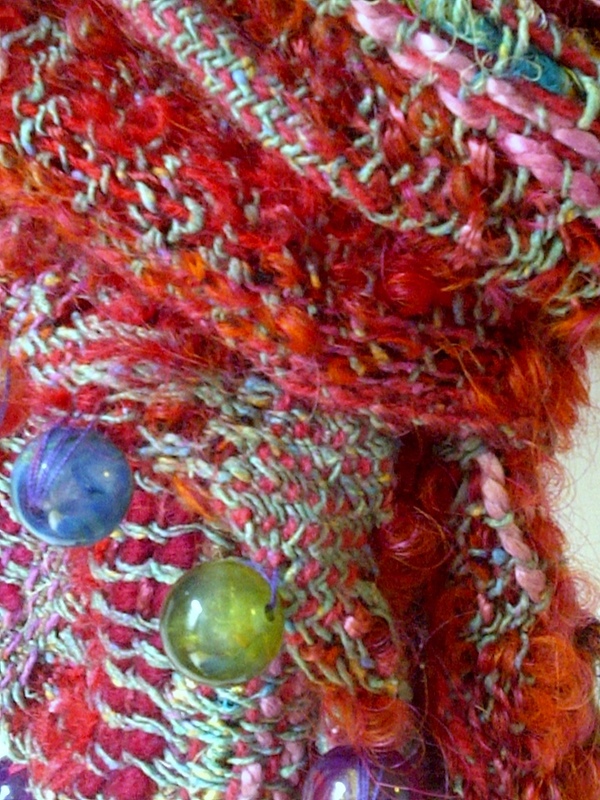 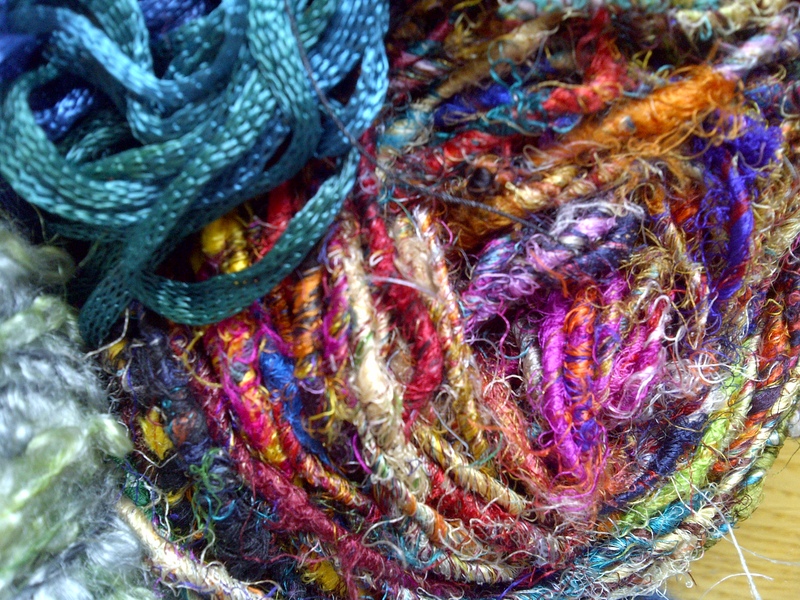 Love your scarf….I have a few skeins of sari silk but not known what to weave with them…..Will give it a try when I get back home….I know what you mean re. 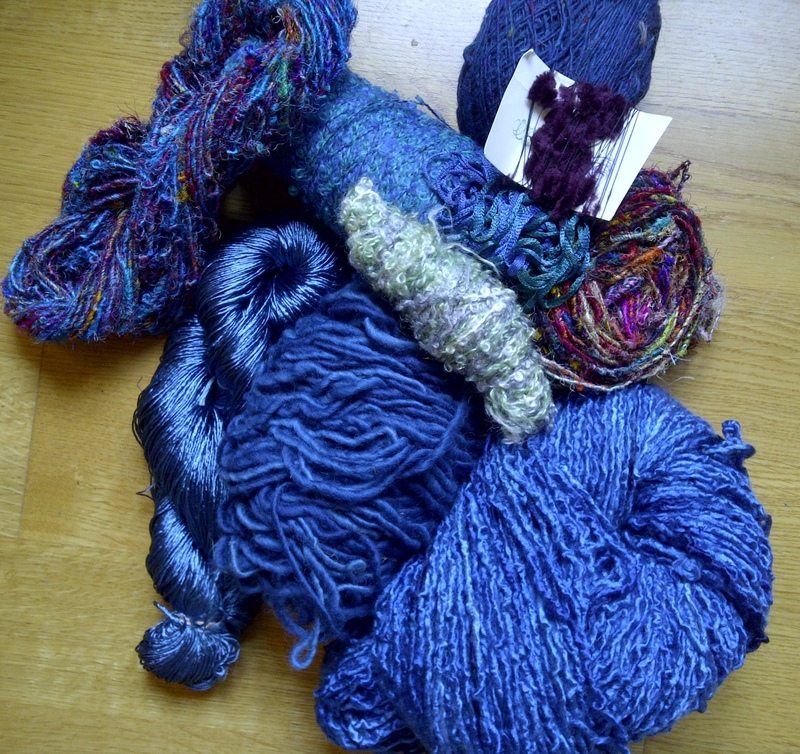 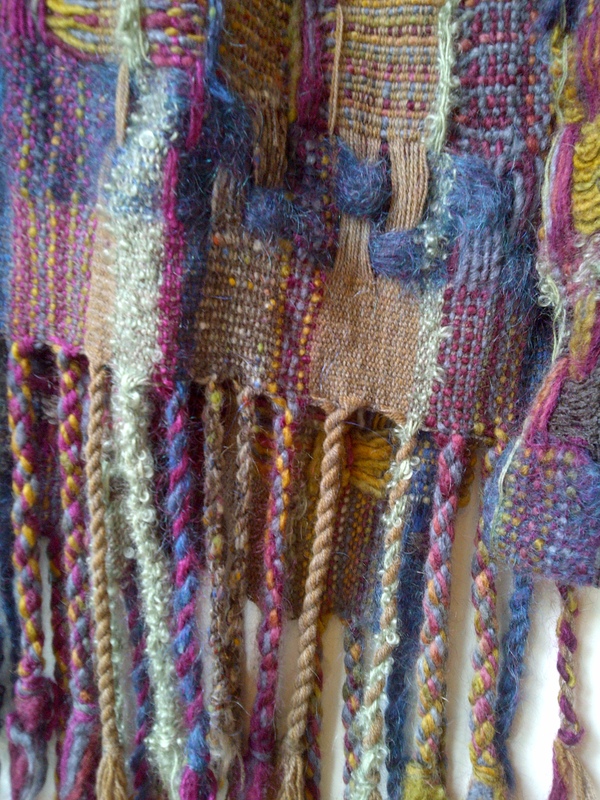 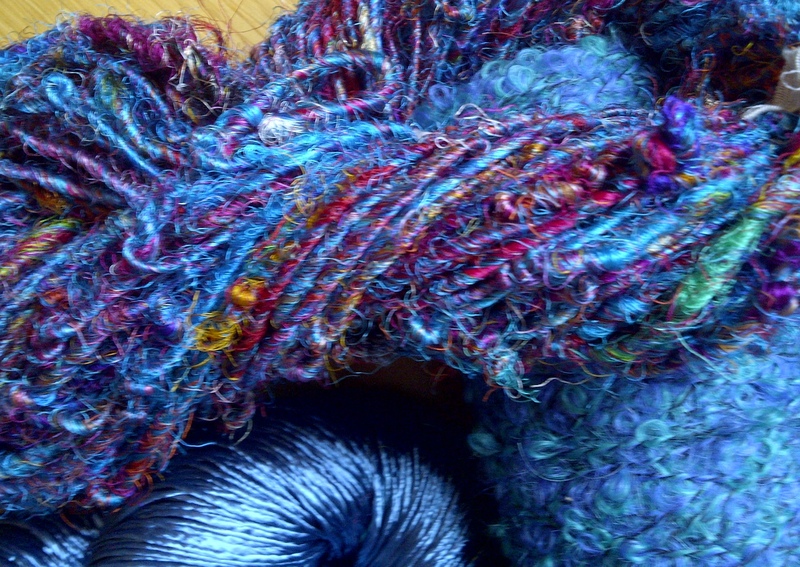 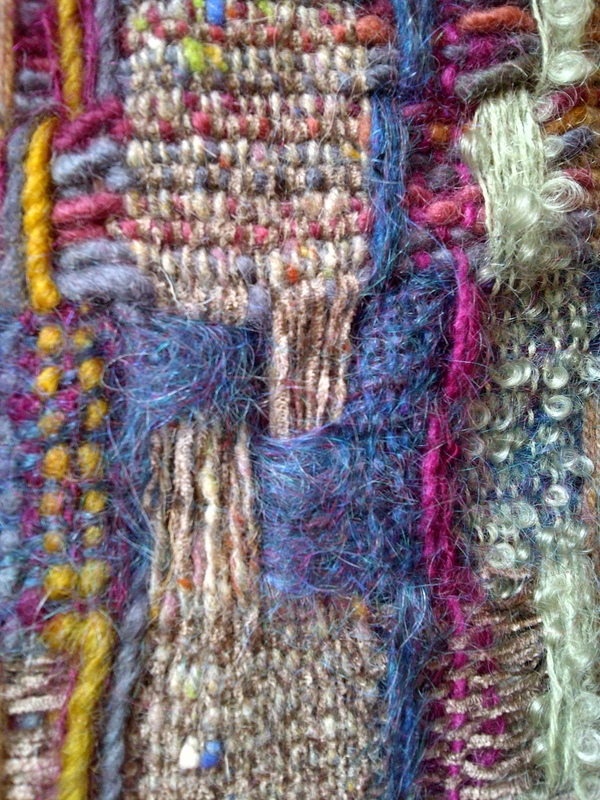 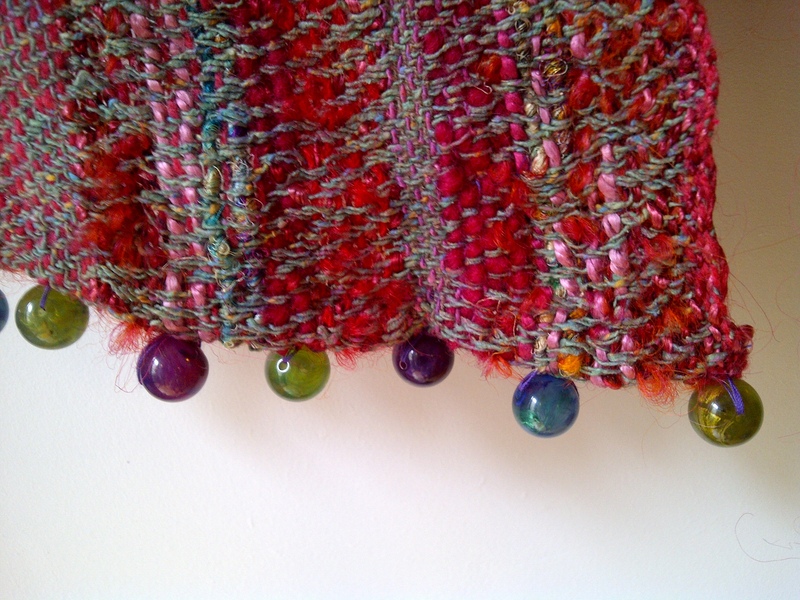 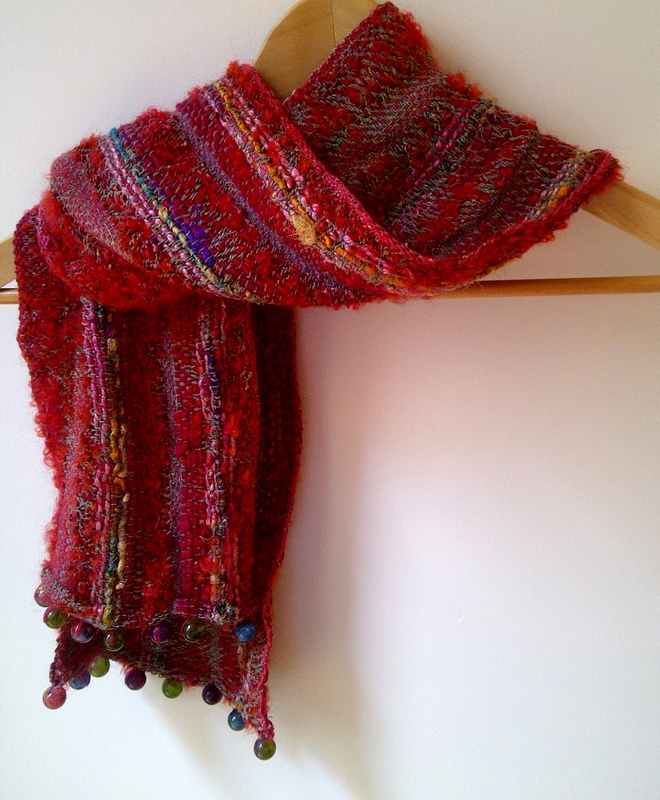 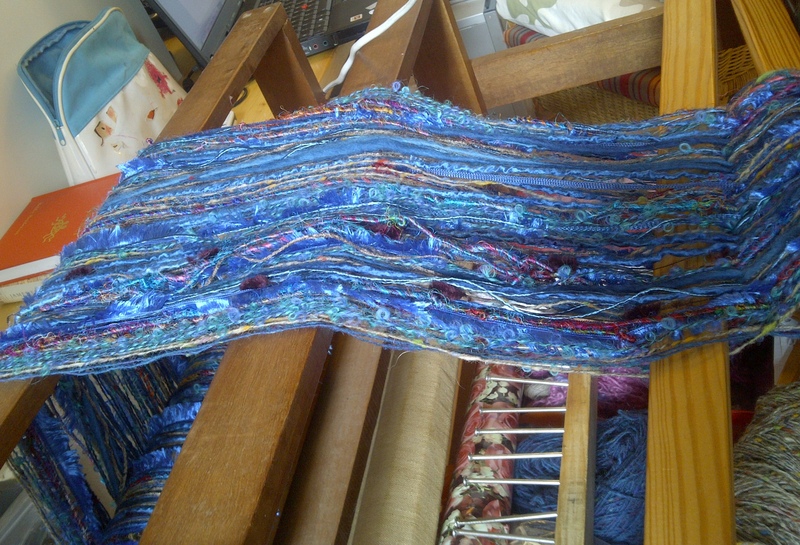 warping with mohair – disastrous – I once had to thread all my warp threads thro pieces of straws to weave with any success – never again…….And then to crown it all – the shawl I had made for a friend in Wales was lost in the mail…..
June! 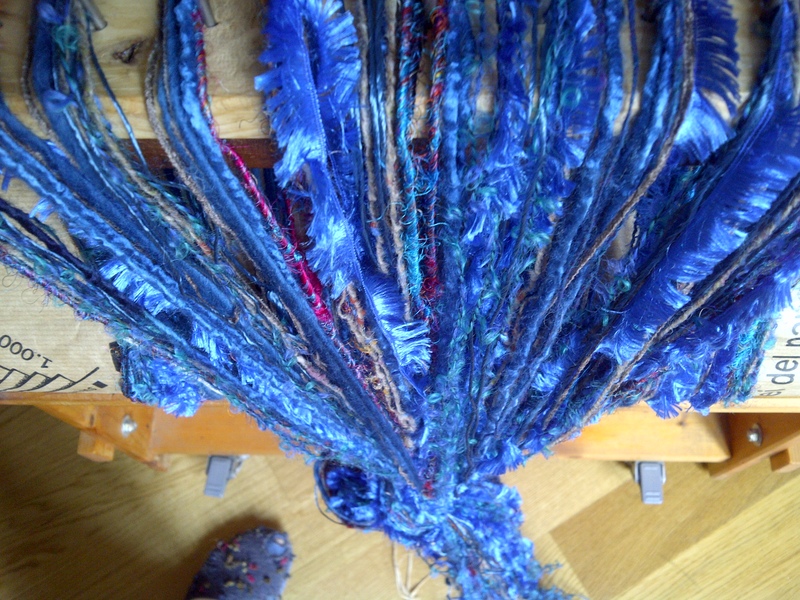 Am trying to find a contact for you RE a second hand loom. 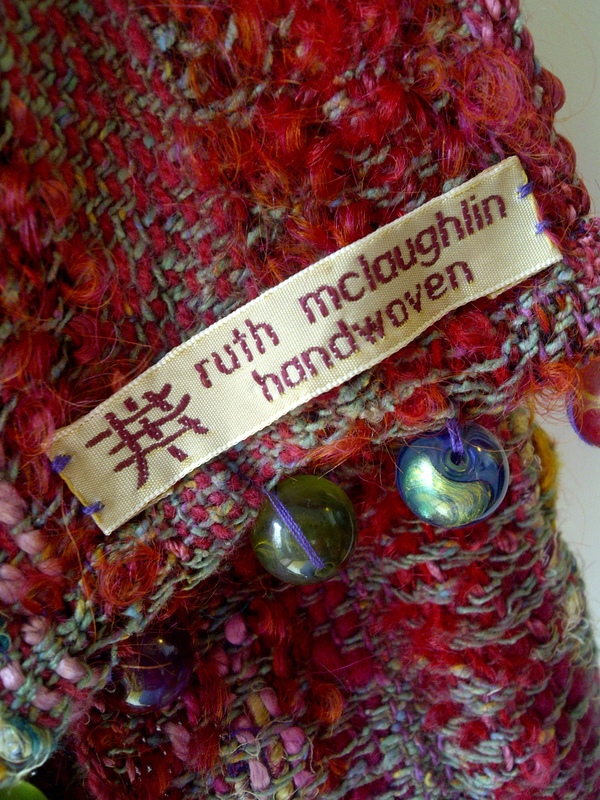 As soon as I hear something, I’ll let you know.